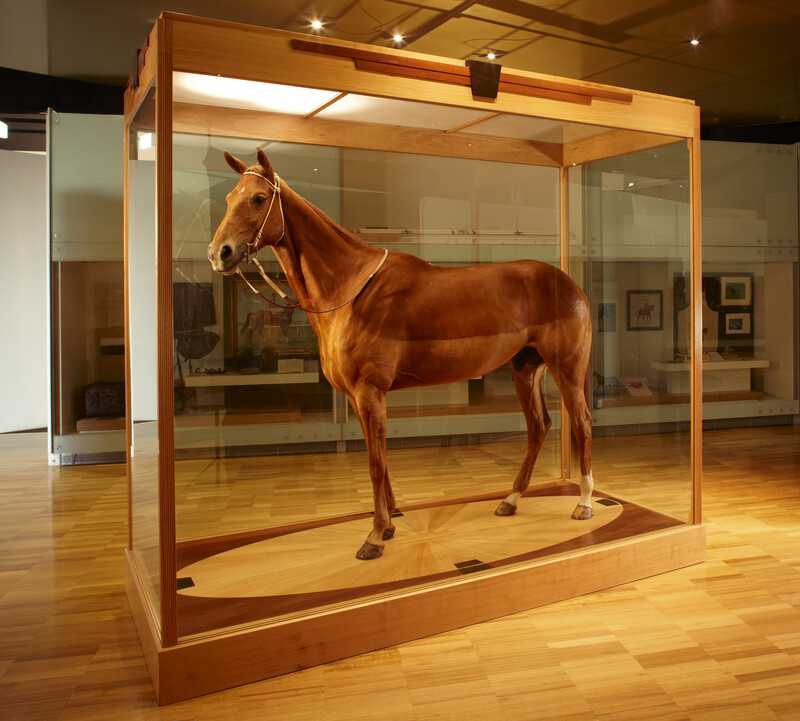 For the first time, the body of Australia’s most famous racehorse Phar Lap will be brought together virtually using CSIRO’s Museum Robot at the National Museum of Australia. For many years Australia's most famous horse has been in pieces. 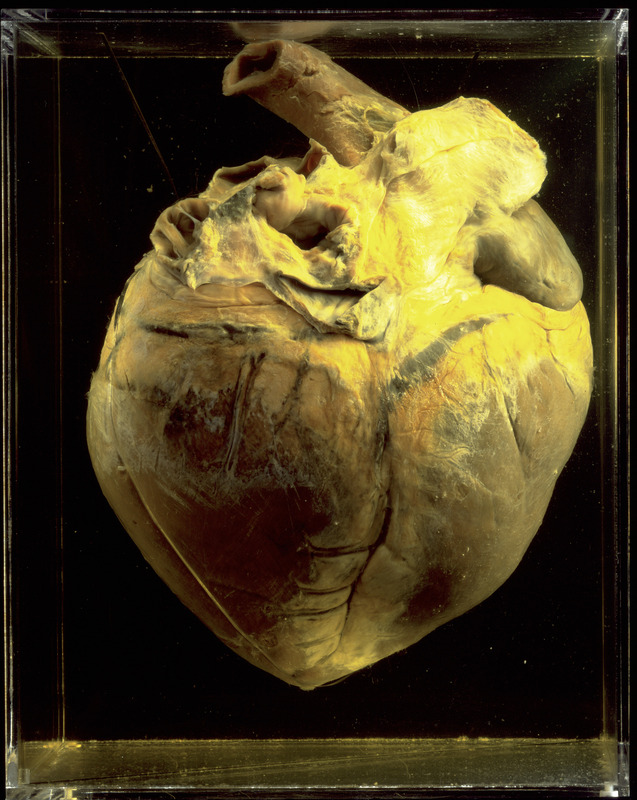 Phar Lap's heart — currently preserved in a jar of formaldehyde - is at the National Museum of Australia (NMA) in Canberra, his hide is in the Melbourne Museum, and his skeleton is at the Museum of New Zealand Te Papa Tongarewa. 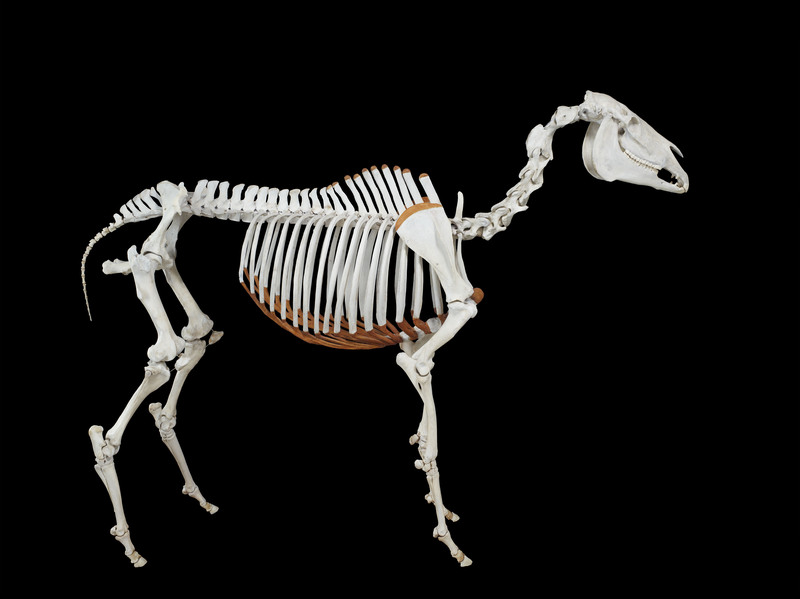 Today, students from three schools in Willunga, South Australia, Mornington Peninsula, Victoria and Townsville, Queensland will have the chance to see the legendary horse’s heart and hide and skeleton at the same time, while speaking to museum experts about the three exhibits. And they won’t even have to leave the classroom. The students will be led by an expert guide from the NMA, through CSIRO’s museum robot. Logging in through their classroom smart board or local library computers, students will control their own unique view using the 360 degree panoramic camera on the robot’s head and can click on items in the exhibit to bring up images and more information. “While the classroom sweep can be a bit of fun on Melbourne Cup day, we are giving students a much richer cultural and educational experience that they’ll hopefully remember for a long time,” manager of the museum robot program at the National Museum Robert Bunzli said. Dr Jonathan Roberts, robotics expert at CSIRO said the successful trial of the museum robot has shown that the combination of immersive learning technology and fast broadband can deliver educational experiences at culturally significant sites to students no matter where they live in Australia. “We are now looking to extend the application of our mobile telepresence system into other areas including remote training, retail, mining and manufacturing industries," Dr Roberts said. 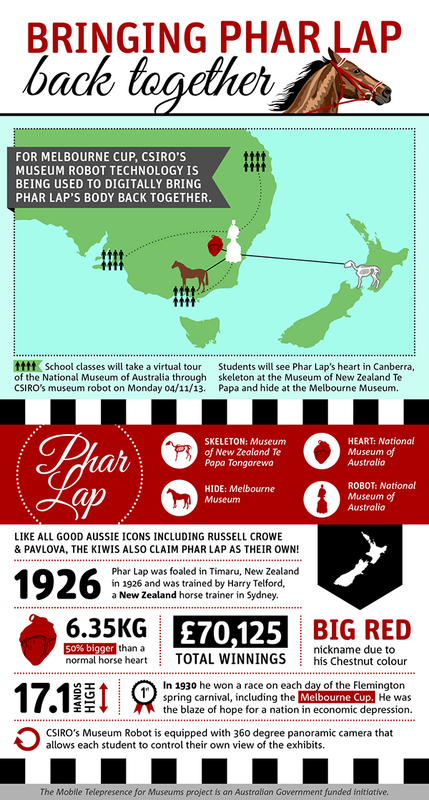 Facts and figures about Phar Lap and CSIRO's museum robot. This project is an Australian Government funded initiative. 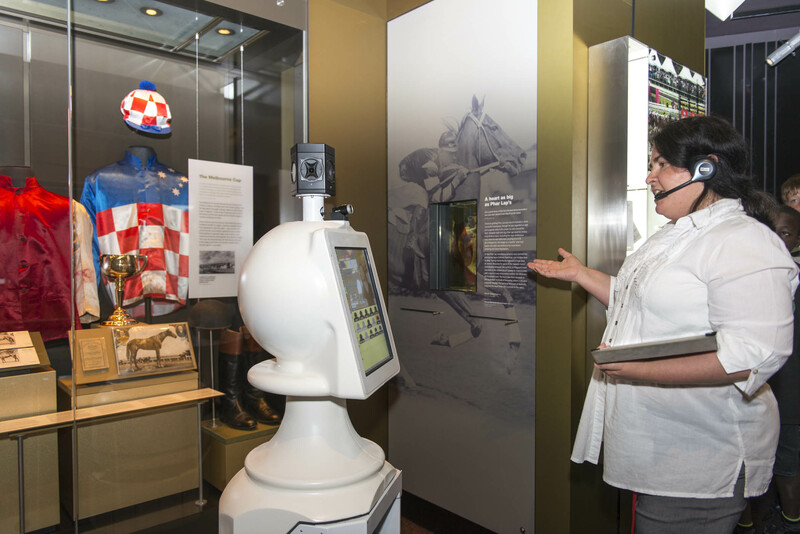 The museum robot mobile telepresence system was developed by robotics researchers from CSIRO’s Digital Productivity and Services Flagship. While there are already some robots in museums around the world, CSIRO’s technology is unique in that it allows multiple remote visitors to have their own individual experience while interacting with their museum educator. It has also been designed with an interface to allow the museum educator to easily ask questions and see answers from multiple remote users. On the 5th April 1932 Phar Lap suddenly died, in agonising pain, from a mysterious illness. An examination of his internal organs showed they were highly inflamed and that he may have been poisoned. In 2008, scientists used a synchrotron to analyse hairs taken from Phar Lap's mane. Their results found that 35-40 hours before his death, Phar Lap ingested a large dose of arsenic. Facts courtesy of the National Museum of Australia , Museum Victoria and Museum of New Zealand Te Papa Tongarewa .